If you are an action thriller movie fan, don’t bother with this movie. The tempo is too slow. You will need to sit down and relax in order to enjoy yourself. 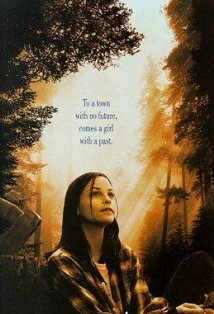 On the contrary, If you’re looking for a movie about human interactions and how one girl can change a town and the people in it, this is the movie for you. The interaction between three women, Percy (Alison Elliott), Hannah (Ellen Burstyn) and Shelby (Marcia Gay Harden) is heartwarming. Perchance “Percy” Talbot is a young girl who decides that Gilead, Maine is the most beautiful place in the world and it is where she wants to live her life after serving five years in prison. After she is released from prison she finds a job, room and board with head strong Hannah (Ellen Burstyn) who owns the Spitfire Grill and has done so for many years. The Spitfire Grill is a run down diner in Gilead, the only one in town. The Spitfire Grill has a history in a town so small that the mail women is offended when too much mail arrives. Everyone knows everything about everyone else. Hannah decides to finally sell the Spitfire Grill and uses an “essay contest” as a way to sell it. Each contestant has to send in an essay saying why they deserve the Grill and send in a fee. A large sum of money is collected. Hannah’s cynical son who is married to Shelby mistrusts Percy since she once served prison time. Shelby befriends Percy and they work side by side at the Grill. As one of her new duties Percy learns she is to fill a sack with canned foods, take it to a tree stump behind the Grill and leave it there for a mysterious person who lives in the woods. This mysterious person changes Percy’s life forever. This movie is about forgiveness, generosity and redemption. The character development is outstanding. The end is disturbing, but is the “real” message of the movie. It is the kind of movie that has a lasting effect on your mind.